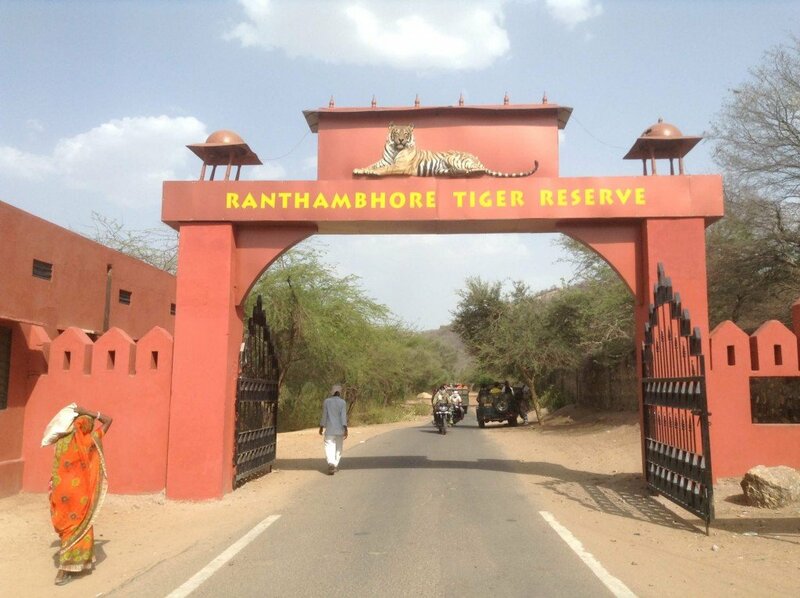 India is home to 70% of the world’s tigers, and Ranthambhore National Park is one of its largest reserves. 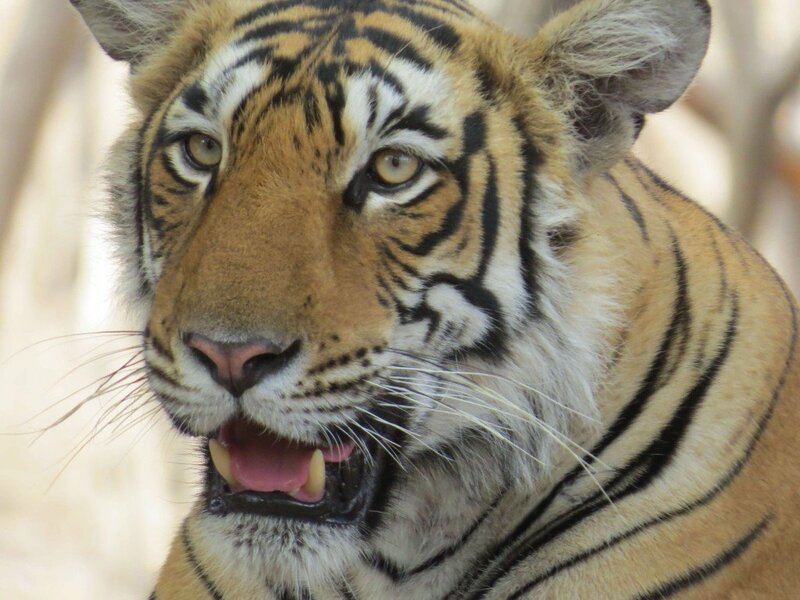 Spotting a tiger on safari here is an unforgettable experience. We rose early for the morning safari. 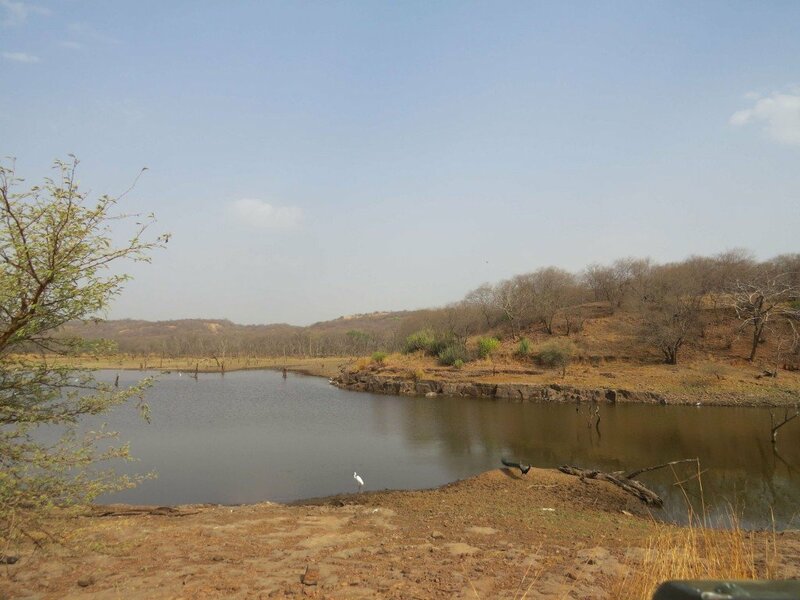 There are two safaris each day in Ranthambhore; one in the morning (about 6:30 – 9:30) and a second in the afternoon (roughly 14:30 – 17:30). 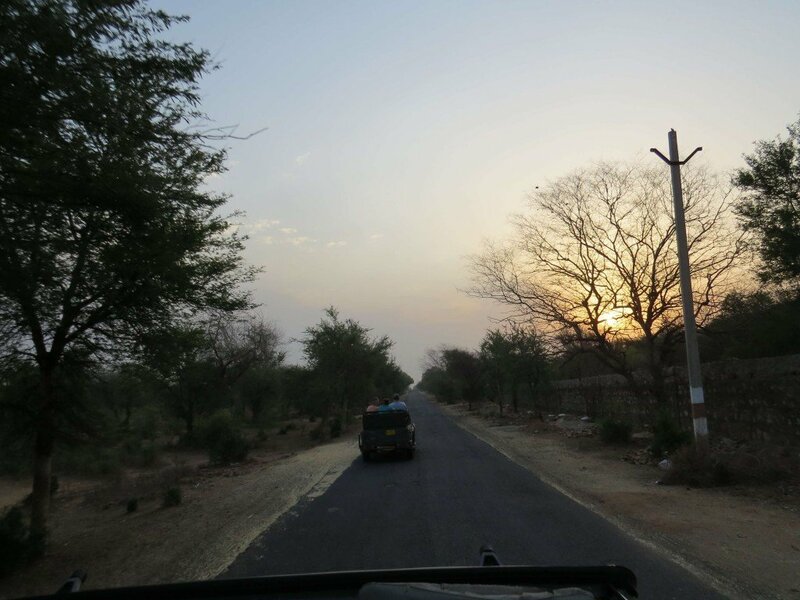 Our private Jeep, naturalist guide Mr. Rajendra Gurjar, and driver, picked us up from our hotel, and then we were off – bouncing along Ranthambhore Road to the park entry gate. Rajendra has been accompanying our guests for many years and is thought of as one of the best in town. 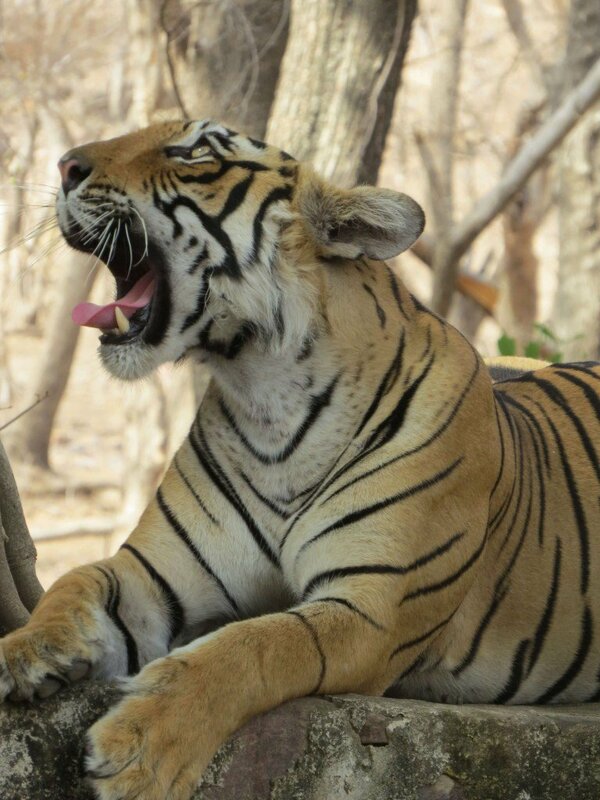 He’s a man on a mission: Rajendra is determined to do everything he can to ensure we spot a tiger in the park today! There are 20 Jeeps permitted into the reserve on each safari. This is to protect the animals and ensure they’re not crowded. Each of the Jeeps are assigned a specific zone. 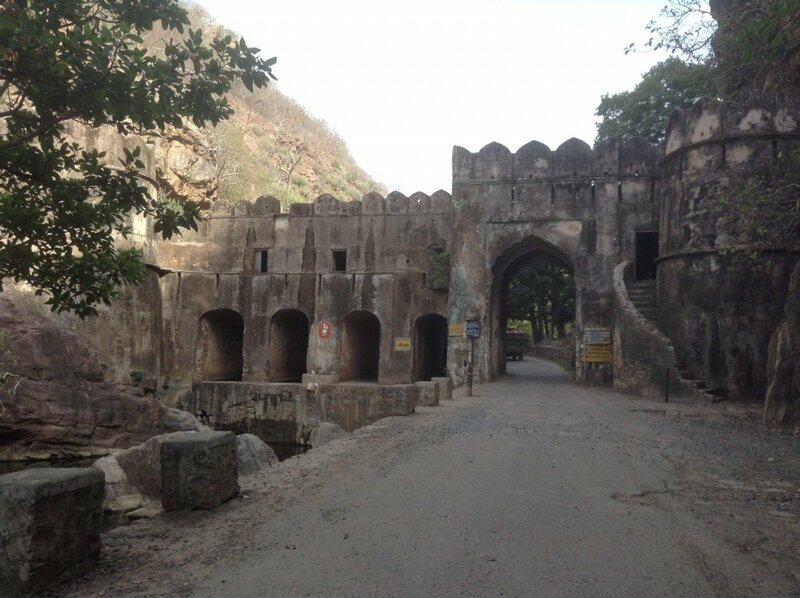 After entering the main gate, there’s a short but very scenic drive along the road to reach your allotted route. Along the way, we drove past beautiful old banyan trees, idyllic waterfalls and more langurs than I could count! 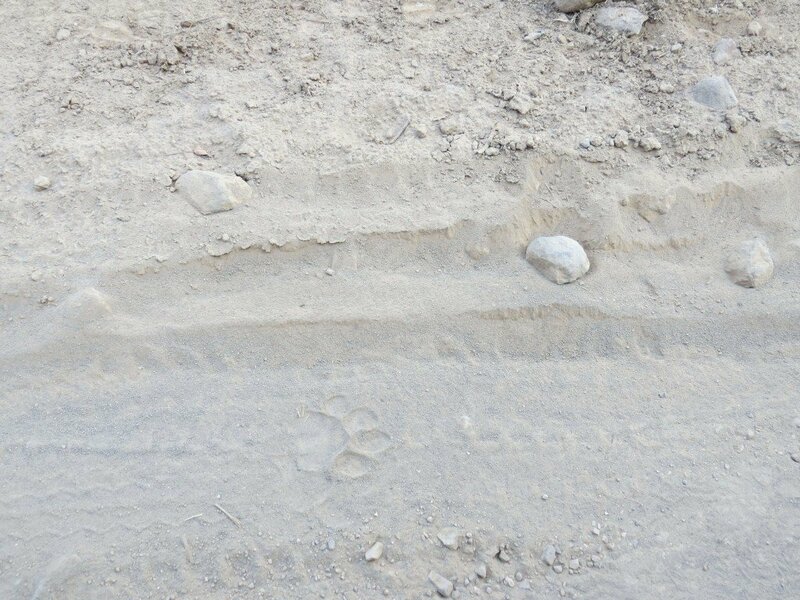 As we entered into our zone, our naturalist Rajendra stopped the vehicle: “Madam, please look down – here are fresh tiger prints”. Our naturalists are extremely skilled and pick up on lots of subtle signs to lead us closer to the tiger; from pugmarks in the sand to the peacock’s warning call. The naturalists are so skilled that they can identify the gender, and sometimes even the exact tiger, all by its footprint! As we bounced along the dusty track, we next spotted a herd of beautiful Chittal (spotted deer). Real life Bambis! 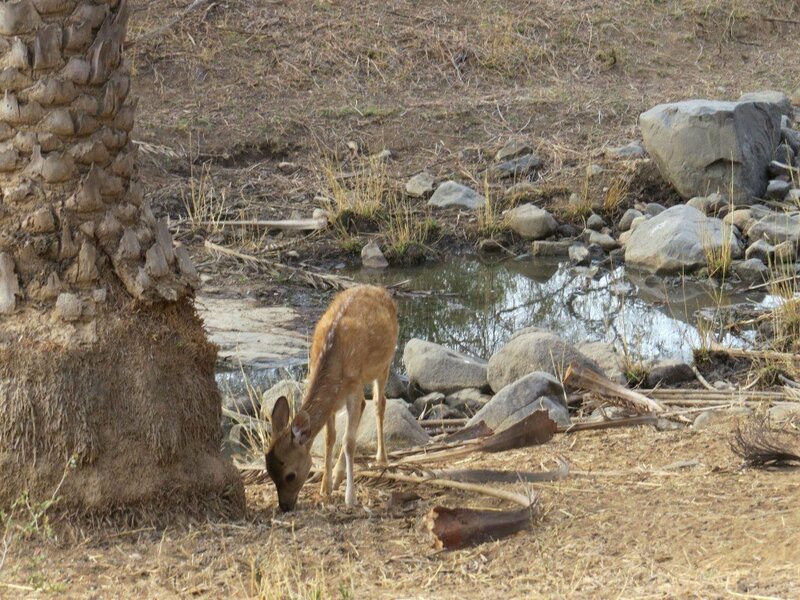 Spotted deer are abundant in Ranthambhore National Park, and this is one of the many animals you’re guaranteed to spot. We were assigned Zone 4, which is thought of as one of the more scenic zones thanks to the vast shimmering lake at its core. This is often one of the first spots a naturalist will explore for guests on Zone 4, as tigers are frequently spotted lapping up water here. After having enjoyed spectacular natural landscapes at the lake, Rajendra’s ears pricked: he’d heard the sounds that warn of a tiger’s presence: monkeys and peacocks were screaming loudly, deer in the area becoming agitated and nervous. 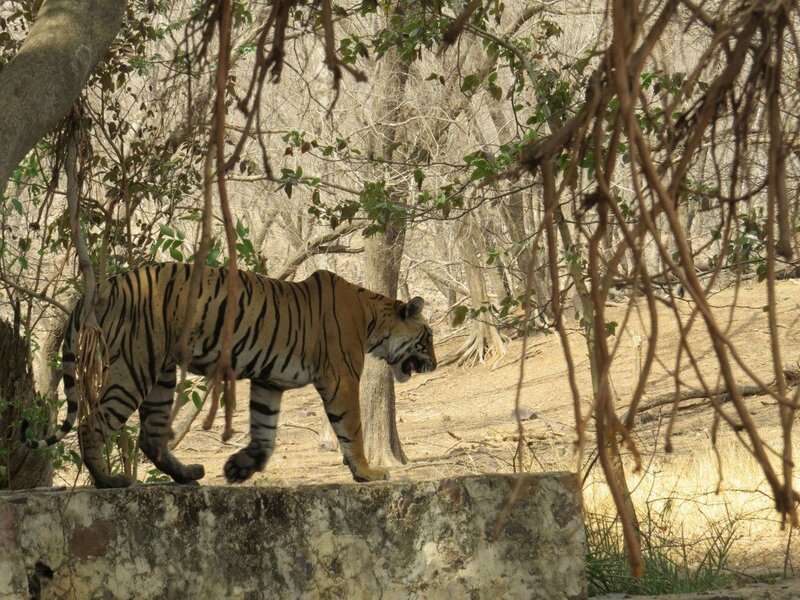 We sped off along the tracks until stopping abruptly by an old crumbling wall, and there she was: Arrowhead, the current queen of Ranthambhore and granddaughter of legendary tigress Machli; a dominating matriarch who once fought a 14 foot crocodile. Arrowhead, looking straight at us! She was absolutely beautiful. 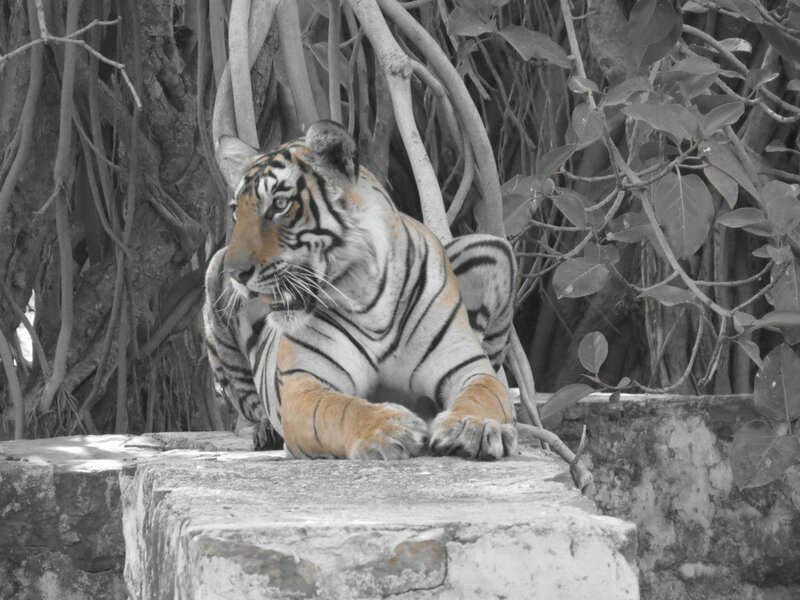 Sighting a tiger in the wild was an exhilarating experience. It sends shivers down your spine as you catch that first striking flash of orange. We spent a good fifteen minutes or so admiring her beauty. Initially, we were busy trying to capture as many photographs as we could, but towards the end we put our cameras down in order to really enjoy the moment. It was majestic. A mongoose caught her attention! She wasn’t bothered by our presence – much more interested in the mongoose! She was wide awake, entertaining us with her head tilts, yawns and flexing her huge paws. It was amazing to note that she wasn’t bothered at all by our presence, though was very interested in a tiny mongoose scuttling across the path in front of her! Similarly, when a bird rustled in the trees above her, her ears pricked to the sound. As she stretched, got up and made her way back into the forest, our driver started the engine and we headed back to the hotel. The excitement we felt having spotted Arrowhead left us feeling inspired and exhilarated all day. We relived the moment back in our minds and excitedly discussed it with staff and other guests at our camp. 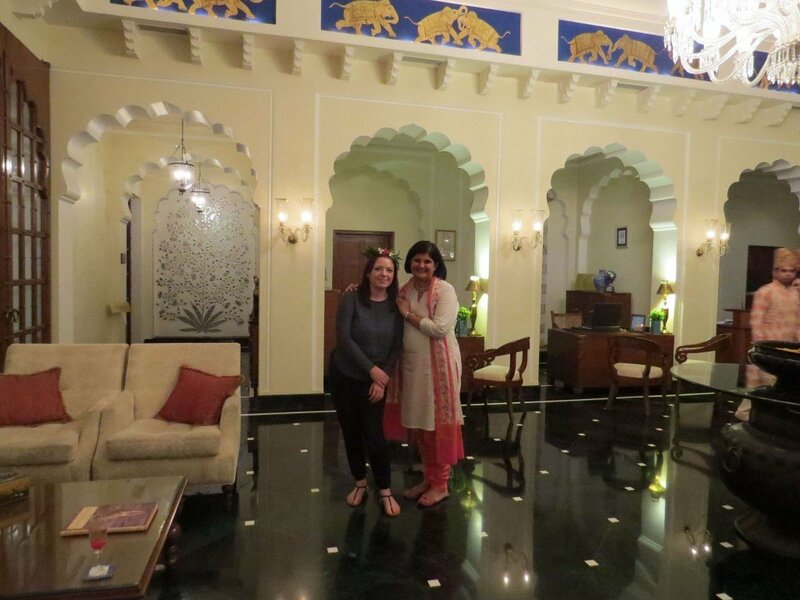 We stayed at what can only be described as our new all-time favourite resort in Rajasthan: the Oberoi Vanyavilas. It was spectacular. Just a short drive away from the park gate, the Oberoi Vanyavilas is nestled in the beauty of the wilds and an ideal contrast to the bustle of Delhi and Agra. Built to evoke the grandeur of the maharajas hunting camps, each of the luxury tents are vast and have finely embroidered canopies, luxurious en-suite bathrooms and private verandahs. The resort is spread across 20 acres of beautifully manicured gardens, and offering just 25 tents it has a very intimate feel to it. Communal areas of the camp are embellished with vibrant frescoes and richly details interiors, creating the ambiance of a royal hunting palace. The restaurant serves an array of Indian and continental dishes, with something to suit all palates. In the charming courtyard lit with candles, the sounds of traditional folk music can be heard softy in the background. 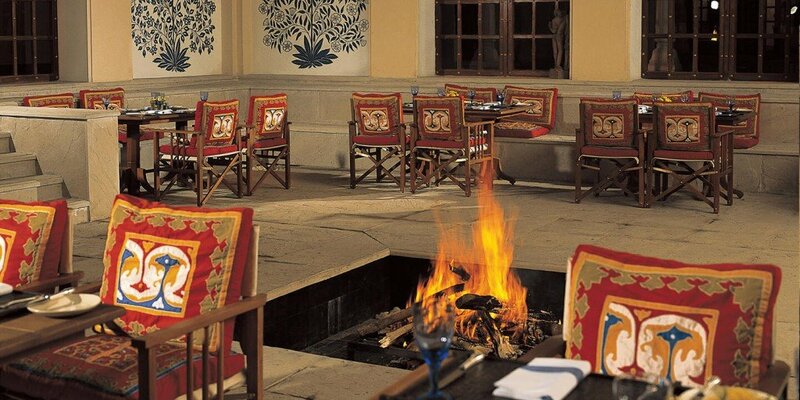 The Oberoi Vanyavilas is picture-perfect and delivers the Oberoi’s signature world-class service. Having a dip in their pool felt like absolute heaven, topped off by a member of staff bringing us complimentary chilled mocktails. There were lots of thoughtful touches extended to us during our stay at the Oberoi Vanyavilas, though we don’t want to divulge too much and ruin the surprise! 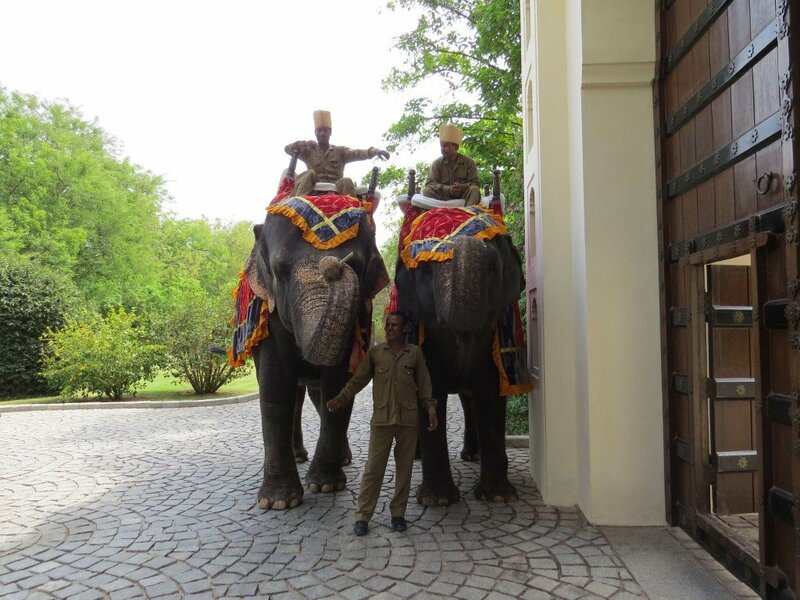 A highlight of our stay was meeting Lakshmi and Mala, the resort’s resident elephants. 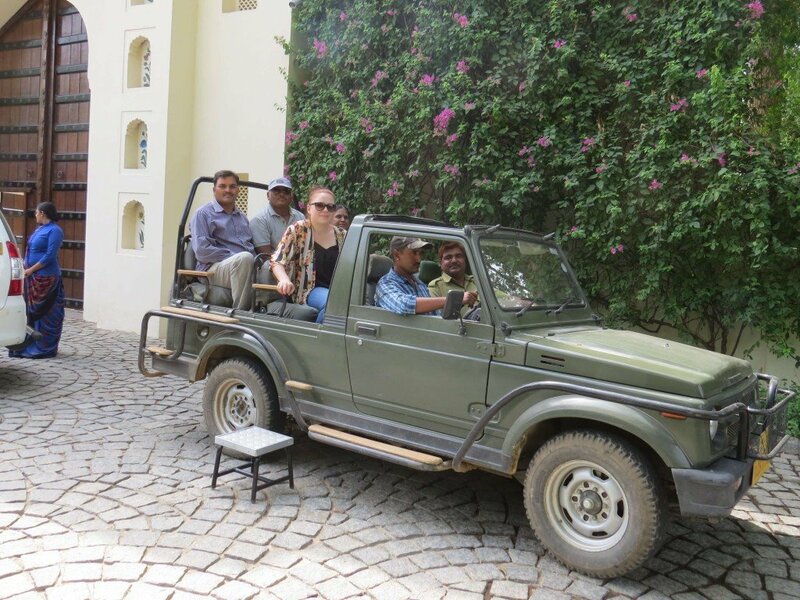 Of our guests who experience several Oberoi hotels during their stay in Rajasthan, they often tell us that the Oberoi Vanyavilas was their favourite, and we’d have to agree. It’s a spectacular experience and the perfect place to recharge your batteries mid-trip, before continuing onwards to the vibrant bazaars of Jaipur, the majestic forts of Jodhpur, and the fairy-tale like lakes of Udaipur. 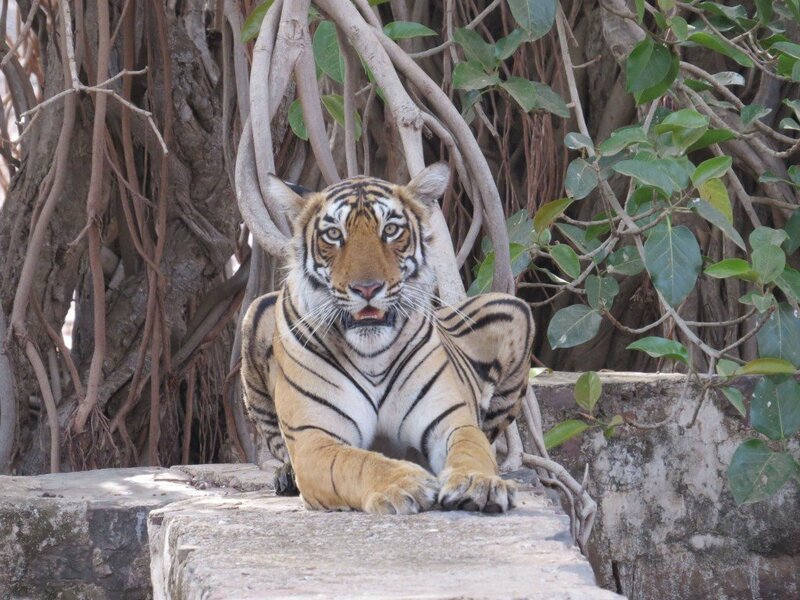 If you’d like include a stay at the Oberoi Vanyavilas for tiger spotting during your upcoming trip to Rajasthan, please do get in touch. We’d be delighted to assist with your arrangements, and as specialists in luxury tours of this region we’d be an ideal match to craft your tailor-made tour. 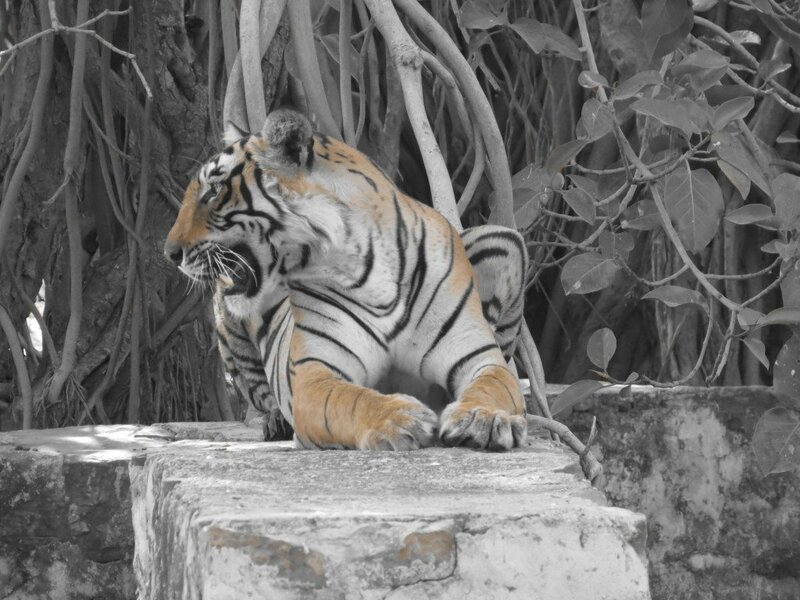 You may like to take a look at our Oberoi sample itinerary, which takes in Ranthambhore alongside Delhi, Agra, Jaipur and Udaipur.